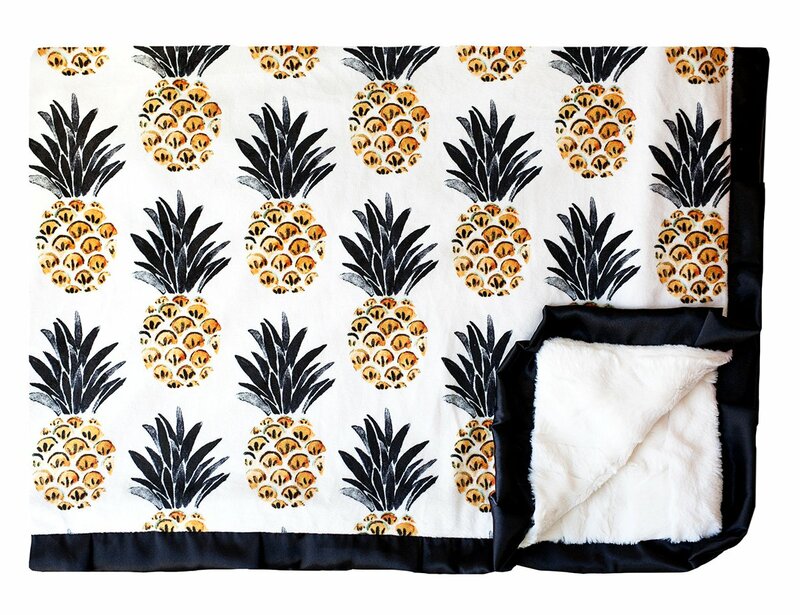 Add a tropical vibe to your room with our chic pineapple design. Pineapples with golden yellow, deep greens and black. All on an off-white background with a cream minky back and a black satin ruffle. Perfectly Pineapple is an exclusive design and can only be found at Minky Couture.